This cumin and lemon chicken marinade locks in the fabulous flavours of the spices and once you’ve combined the ingredients for the marinade, the time consuming part is done, so it’s a very quick meal to put together! The fiery flavour of the radishes along with the delicate spring onions work perfectly as an accompaniment to this aromatic chicken dish. 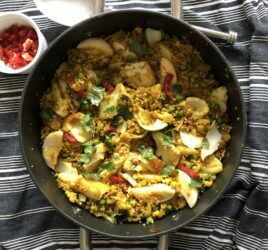 Can be served with quinoa or brown rice. 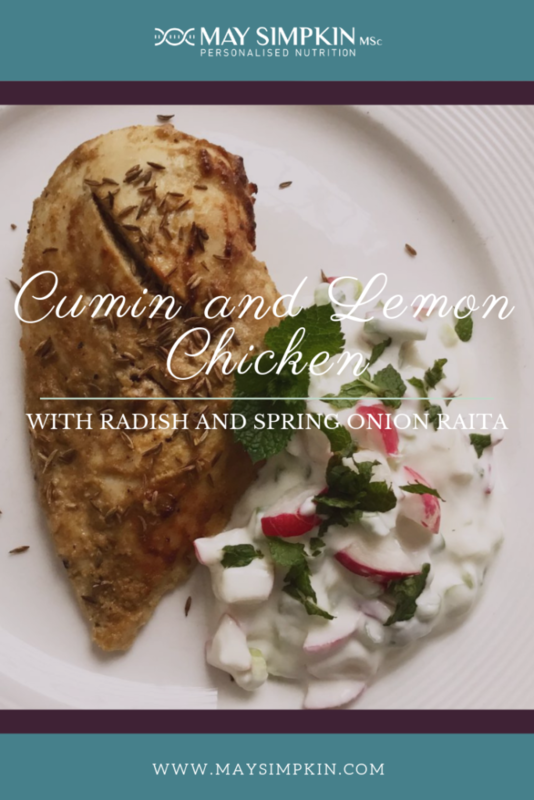 To make this Cumin and Lemon Chicken….. Combine all the marinade ingredients in a large bowl and mix well. Place chicken on a large non-stick baking sheet, using up any remaining marinade on the top to protect and retain moisture whilst cooking. Drizzle with a little olive oil and cook for 35-40 mins or until the chicken is cooked through. Take out, cover with foil and allow the chicken to rest whilst you made the yoghurt raita accompaniment. Combine the yoghurt raita ingredients, except the fresh mint, in a small bowl. Set aside. 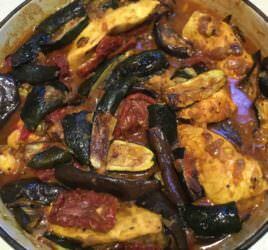 To serve, place the chicken on the plate and sprinkle with a few toasted cumin seeds. 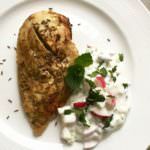 Place 2-3 tablespoons of the yoghurt raita alongside and top with chopped mint. 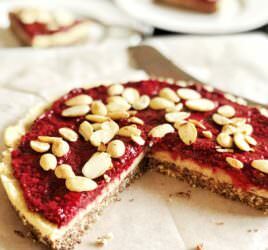 Serve with quinoa or brown rice.